Croxby Crawl: A Few Two-Lap Facts and Figures. Including “Notes on the New One-Lap Course Record”. A FEW TWO-LAP FACTS AND FIGURES. 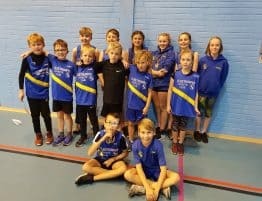 This year sees the Cleethorpes Athletic Club's Croxby Crawl reach its 34rd year, with local support from the running community showing no sign of abating. The first race in 2016 will be the 141st race on this undulating Lincolnshire Wolds Course. Part of the attraction to the event is that all runners’ best times are recorded on the “All Time List” and times can be compared with the “Greats of yesteryear”. Rankings are also recorded in the various age groups. These times are maintained and updated by Steve Green and Colin Wright. The first ever race on the Croxby circuit was staged on Saturday 26th November 1983. 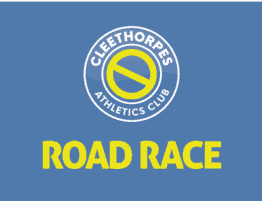 This was a Cleethorpes & District AC club only event over two-laps and was won by track specialist Jon Ireland in a creditable time of 50.45, the turn out was 32 runners with the ladies electing to run one lap which was won by Jenny Clark. Interestingly only two month’s earlier, Louth AC, organised a road race ( Wolds Dash ) from Hubbard’s Hills in the Lincolnshire Wolds and that year also saw the first race in the annual Rothwell 10 (Now Lincolnshire Wolds 10) take place, and after 33 years all three of these events, on the Lincolnshire Wolds are still going strong. The race was thrown open the following year when Grimsby Harrier Nick Goodwin recording 51.26 on Easter Monday, with Jane Knights from the host club winning the ladies one lap race. The following year (1985) saw a unique double, as husband and wife Dennis and Barbara Brown of Grimsby Harriers, both won in course record times. Dennis Brown was the first runner to go sub 50 minutes with his 49.27 course record, with Humber Marathon winner Barbara Brown reducing the ladies course record to 60.10. On August of the same year Liverpool Harrier Kevin Capper set a new course record, of 46.15,which still stands to this day , knocking 2 minutes 13 seconds off the time set only the previous month. Kevin finished 3 minutes 34 seconds in front of runner-up Chris Bromfield, with John Haines setting the host club record of 49.53. The first and only time 3 runners in the same event have gone sub 50 minutes. Kevin Capper's opening lap during his 46.15 course record was clocked at 22.42; only 6 seconds shy of George Reynolds one-lap course record. In 1999 William Gristwood of Ealing, Southall and Middlesex, was the first veteran to win the two-lap event, knocking 1 minute 24 seconds off Alf Woods' 12-year veterans course record. In fact veterans filled the first 3 places. Vanessa Aisthorpe holder of the W35 course record is undoubtedly the most successful runner on the Croxby Circuit, winning the two-lap event no less than 15 times, with 11 of these in a row. This sequence runs from 1993 to 1998. Ian Chidwick is the only runner to have won Croxby over three decades, his first win was in 1989 and his latest set in June 2000. He is the fifth fastest on the all time list with 48.21 (1992 and has a record six two-lap wins to his credit. In June of 2005 Neil Farquharson clocked 53.51, the fastest time by an unattached runner, not previously a member of an athletics club. Since the sequence of 2 one lap and 2 two lap's started in 1987, only Vanessa Aisthorpe in 1997 had done the Grand Slam of winning all four events in one year. This was to change in 2010 when host club Martin Formstone also achieved this distinction made more worthy by the fact that since 2008 an additional one lap had been added to the calendar. The youngest winners of the two-lap event are: John Stephenson when on 3rd June 1987 he recorded 48.57, aged 19 years 4 months and 14 days, and Diana Otley on 25th November 1984, when she recorded 63.34 aged 18 years 5 months 4 days. In 2009 the 100th race at Croxby attracted a record field of 168 runners. The previous record turnout was back in 1987 when 141 lined up for the starter. The record turnout for the two-lap event is 97 in 1987. 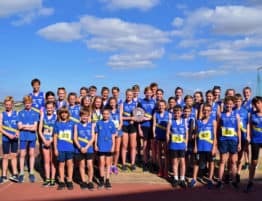 The most prolific runners at Croxby are John Hudson, Tony Dann, Andrew Gristwood, Dave Edwards and the late Barry Dodge who have each competed in over 50 races whilst Beverley Wilson is the leading lady with 46 events. NOTES ON THE NEW ONE-LAP COURSE RECORD. The one-lap course record which had lasted 28 years was smashed in May 2012 by the former Olympian, Anthony Whiteman when he recorded 21.53 for the distance. The former record of 22.36 was set in 1984 by RAF aircraft technician, George Reynolds, who ran the previous years London Marathon in 2.20.40 and in 1985 recorded 49.34 in the RAF 10 Mile Championships. At the same time Anthony also broke George Ely's long established Croxby veteran record of 24.24 which was recorded way back in 1992. One suspects this record will never be beaten unless a world class 40 year old Kenyan from the Rift Valley competes at Croxby! One month later at the Nashville Music City Carnival, USA, Anthony became the first M40 Master to go sub four minutes for the mile outdoor, when he recorded 3.58.79 Four days later he became the 800 world master record holder outdoors when he clocked 1.48.22 in Indianapolis USA. One month later he also took the World 1500 indoor title at Stretford when he stopped the clock at 3.42.02.